Fans of Napa Valley Cabernet Sauvignon will find a lot to get excited about with the 2010 vintage. The 2010s are magnificent, viscerally thrilling wines loaded with character and personality. To be sure, the 2010s – the product of a long, cold growing season – are going to require a few years in bottle. This is the type of vintage that is often overlooked upon release, but that consumers regret not purchasing more deeply when the wines start showing their full potential 4-5 years later. There is no question 2010 is the greatest vintage for Napa Valley Cabernet Sauvignon in the 2008-2011 time frame. Up until 2011, 2010 was the longest and coldest growing season many producers had ever seen. The summer was quite cold, which tempted some winemakers to de-leaf, a big mistake when an unexpectedly long and brutal heat wave arrived towards the end of the season. Where growers were more prudent, the wines are utterly brilliant, with deep colors, precise fruit, ripe tannins and expressive aromatics. Because the growing season was so long, the vines achieved full phenolic maturity, which gave the tannins a level of textural elegance that is unusual in such big wines. 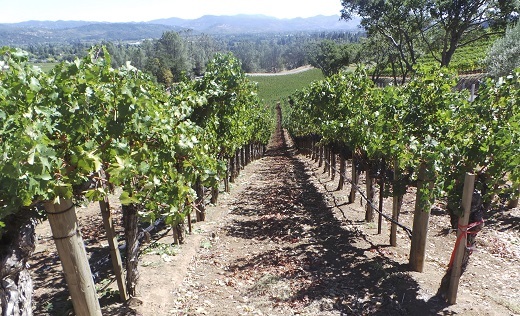 At the same time, there is plenty of California richness, something Napa Valley has no problem producing in abundance. In other words, the best 2010s also possess stunning harmony. The superiority of the 2010s vis-à-vis the 2009s is increasingly clear, in that the 2010s have much more finessed tannins, richer fruit and better balance. Another feature of the 2010s is that the wines are very site-specific, in other words, they are steeped in terroir. Yes, terroir does exist in California. More on that below. Readers should do whatever they can to source the best 2010s, as they are magnificent. The top wines will reward cellaring and be long-lived. The weak spot for 2010 is the mountains, where the fruit didn’t ripen as well in all sites. In many places, the 2009s are superior to the 2010s, so a little more selectivity is required when looking at the 2010 Cabernets from mountain vineyards. On the subject of the 2009 Cabernet Sauvignons, many wines have firmed up since I tasted them last year. The 2009s were largely picked in advance of inclement weather that was on the horizon in mid October. As a result, there is a firmness in the tannin in many wines that suggests phenolic ripeness was lower than in 2010. I am not sure if the 2009s are closing down in bottle, or if the quality of the tannin is simply becoming more evident, but I suspect that is a case-by-case assessment. 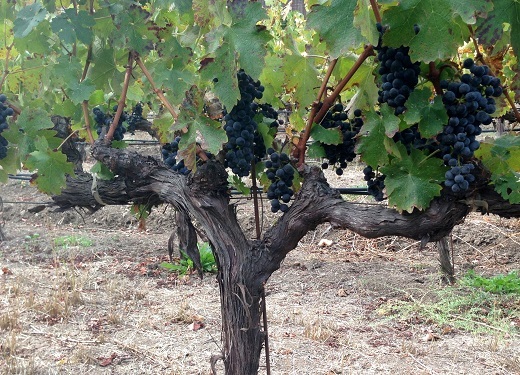 Few subjects are as divisive among winemakers in Napa Valley than the 2011 vintage. It was by far the most difficult vintage in several decades, starting with huge rain during the flowering, miserable weather during the summer and conditions that seemed to change every five minutes during harvest. Yields were minuscule. Winemakers were shocked by the velocity with which botrytis spread in Cabernet vineyards, a phenomenon many winemakers had never even seen before. Severe sorting in the vineyards and then in the cellar was absolutely essential. As for the wines, they are naturally all over the place. 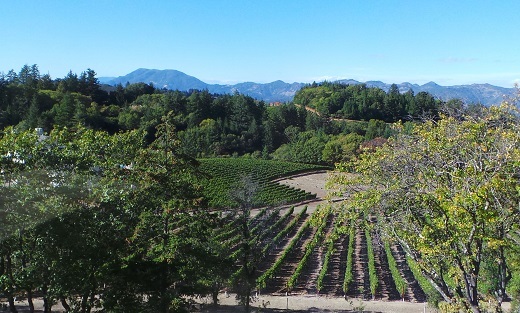 But there are also a handful of great wines, especially on Howell Mountain, which lies above the fog and therefore was able to dry out the rain. The same thing goes for a number of well-drained sites on the valley floor. Vine Hill Ranch and Las Piedras come to mind. The bottom line is that readers will have to be selective with 2011, but the vintage is certainly not a total wash. I tasted fewer 2011s this year than 2010s last year because the malolactic fermentations were slower in 2011, and therefore the wines were in a much more awkward state at the time of my fall tastings. It is also clear that winemakers will be adding some of the abundant and higher quality 2012 juice to bolster the 2011s, so I will not be surprised if some of the wines I tasted are a little richer next year. Readers who want to learn more about the vintage might want to check out my 2011 Napa Preview article on our website. Hype over the 2012 vintage has been building over at least the last few months. It was a nearly perfect growing season on paper, with the exception of a few heat spikes at the end of September that came as a surprise. After three difficult years of well below normal yields, growers were begging for an abundant harvest, and they got it in 2012. The quality of the wines remains to be seen. To be sure, some producers allowed their plants to be a little more productive than normal. In more than a few spots, the vines seemed literally covered in a tapestry of fruit. Most winemakers are very enthusiastic, although some are more sanguine, as they understand it will take a far greater effort to make a distinguished wine in a vintage where everyone can make a great wine, as opposed to a year like 2011, which really separates the cream from the rest. Others are quite aware that yields were too high in some places to make truly distinguished wines. I will be tasting the 2012s next spring and will have an update shortly thereafter. Does Terroir Exist in Napa Valley? I imagine most consumers think of Napa Valley as consisting of Highway 29 and the Silverado Trail, and the vineyards that are visible from both roads. The reality is that Napa Valley is a huge region encompassing an enormous variety of terroirs, the collective knowledge of which is still very much in its infancy. If I think about some of the vineyards I visited just in the last twelve months - Diamond Creek, Bill Harlan’s Promontory, the summit of Pritchard Hill, Sloan - all of which are well out of public view, each of these sites encompasses a level of variety that is truly mind-boggling. Yes, terroir exists in Napa Valley, and 2010 is a great vintage through which to experience the valley’s numerous microclimates, terrains and exposures. There is no way to ignore it, prices for Napa Valley’s top wines are high. Screaming Eagle is $850 a bottle, a 13% increase, the 2009 Harlan Estate is $750 a bottle, a whopping increase of 50% over the 2008. Napa Valley’s top estates now face the same problem as Bordeaux; the wines have become too expensive for restaurant wine lists. A $500 bottle at the standard 2.5- restaurant markup is, well, you can do the math. That is not a business with a sustainable future, at least not in this country and in this generation. At the same time, producers know they have to have a presence on restaurant wine lists, hence the explosion over the last few years of wines that retail in the $80-90 price range and that can therefore be sold in restaurants for around $250, still a lot of money, but doable. The best of these wines, which I call Napa Valley ‘Super-Seconds’ are in fact, super. In top vintages, the best second-wines from top wineries are better than the vast amount of main labels. These are my favorite ‘Super-Seconds.’ All but two retail for less than $100. Top-flight Napa Valley Cabernet is rarely inexpensive. These are some of my favorite sub-$100 wines. Many of these are available for well under $100.